إذا كنت تبحث عن فندق بموقع جيد في بيشينو، فقد وجدت ضالتك في Bicheno East Coast Holiday Park . يجذب هذا الفندق ذو 3 نجوم، والذي يبعد 0.01 km فقط عن وسط المدينة و عن المطار، الكثير من الزوار سنوياً. يضفي محيط الفندق اللطيف وقربه من Waubs Bay Gallery, ‪Bicheno's Motorcycle Museum & Restoration‬, ‪Bicheno Blowhole‬ سحراً خاصاً على هذا الفندق. استمتع بالخدمات الراقية والضيافة التي لا مثيل لها بهذا الفندق في بيشينو. يمكن الاستمتاع بمجموعة من الخدمات على أعلى المستويات في الفندق كمثل مرافق مخصصة لذوي الاحتياجات الخاصة, تسجيل وصول/خروج سريع, تخزين الأمتعة, واي فاي في المناطق العامة, صف السيارات. تعكس غرف الفندق البالغ عددها 26 المنتشرة في طوابق جواً من الدفء والألفة.خدمات عصرية مثل تلفزيون بشاشة مسطحة, مرحاض إضافي, مناشف, غرف لغير المدخنين, مكيف هواء موجودة في بعض الغرف المختارة. يقدم الفندق مجموعة واسعة من وسائل الراحة المتنوعة، كمثل: غوص, صيد السمك, ملعب للأطفال, كرة الطاولة, حديقة. إن Bicheno East Coast Holiday Park هو خيار ذكي بالنسبة للمسافرين إلى بيشينو، بما يوفره من إقامة هادئة ومرحة. يحتاج الفندق إلى بطاقة ائتمانية لأغراض السندات عند الوصول، في حال وجود مصروفات عارضة. Beautiful big, spacious and clean 2 bedroom cottage . Good hot water supply and well equipped facilities in the cottage. Very close to eating places and right in the heart of the town. Very friendly and helpful staff and I highly recommend this place if you are visiting Bicheno. Booked last minute and felt that it was a real good value choice. Cosy cab that could accommodate up to 7 people, but only one bathroom so not sure how that would work. We had 4 ppl and it was quite comfortable. The cabin is equipped with cooking utensils. The queen bed is on wheel tho so it moved a bit with minimal force or movement. Easy to find. Staff were lovely. Short walk to see areas around. Would stay again if visit Bicheno. Hi, Thank you for taking the time to review us we appreciate all feedback. We are glad you enjoyed your stay with us in our beautiful town. The owner is friendly and very helpful. Our room was roomy and clean, very clean bedsheet and towels. The hotel is right behind the Bicheno Penguin Tour and there are grocery store and bakery nearby. Perfect place to stay in a small town. Hi, We are glad that you enjoyed your stay with us and enjoyed our beautiful little town and attractions. We stayed here as we were camping. The apartment was well equipped with cooking utensils. Also we could go to the supermarket just in 5 minutes walk. The Bicheno penguin Tour was just next to it. We had a nice evening there. Hi, We are happy you enjoyed your stay in our beautiful Bicheno. Happy travels. Hi Thank you for taking the time to review us we really appreciate all feedback. greeted by the nicest, friendliest couple at the front desk, pointed in the right direction and offered a few recommendations around town. The room was immaculate and the view of the passing traffic and school kids was awesome!! We only stayed overnight but wish it was longer. Will definitely stay again!! The cabin was slightly smaller than expected. The one bedroom cabin was made out of a container block. Otherwise, the cabin was clean and well equipped. The holiday park was also very conveniently located at the centre of town where various attractions can be reached easily. 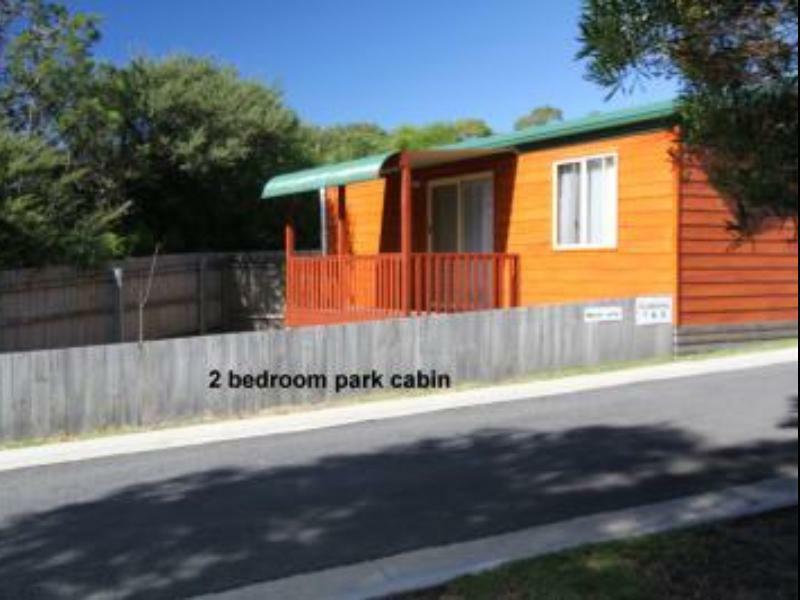 Furthermore, the Bicheno penguin tour office is located just behind the holiday park. Hi, Thank you for choosing to stay with us and we are happy you enjoyed your stay. Simple cabin with 2 rooms and living area. Bathroom was tiny but overall was as expected and sufficient for my needs. Couldn't get the wifi to work at all. 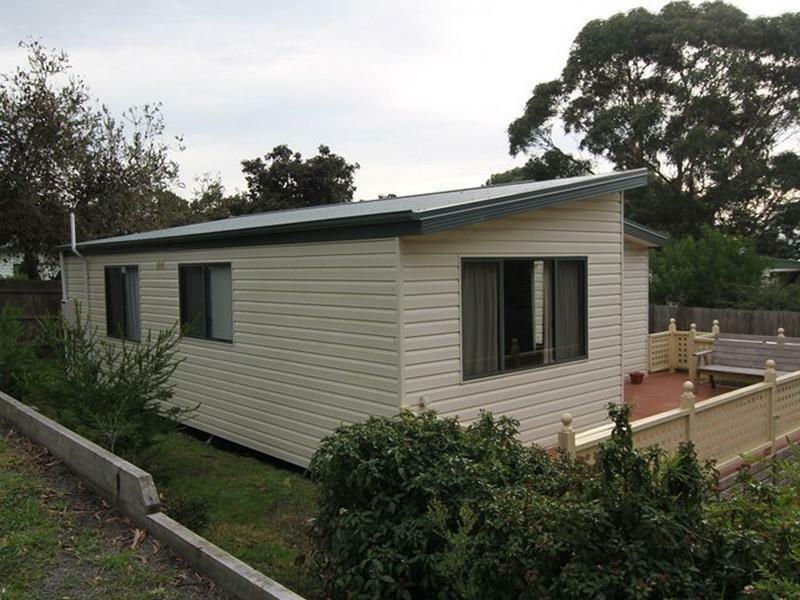 Great staff and located conviently in the heart of Bicheno. I stayed here only one night during a road trip around Tasmania. The bathrooms were quite clean, the kitchen was a bit old but it had a sofa, which was great for relaxing a bit after driving the whole day. The location is convenient, and there's a free wifi spot right out of the park. The staff was nice and helpful. Hi, Thank you for your review and we are happy that you enjoyed your stay with us. Good location. clean and had a pleasant stay. Hi Leanne, thank you for your review. We are happy that you enjoyed your stay with us. Hi Russell, Thank you for your review. We are happy that you enjoyed your stay with us in our beautiful town and would love you to come back again if you travel this way. Hi, Thank you for taking the time to review us and we are happy that you enjoyed your stay. Blankets looked old,not clean and untidy. Hi, Not sure you have right place as we have doonas on our beds. Hi Nicklaus, Thank you for your review. We are happy you enjoyed your stay in our beautiful area of the world. Hopefully you will consider us if you travel our way again. It is located next door to Bicheno Penguin tour. Supermarket (IGA) and cafe are all within walking distance through a small gate without having to pass through main entrance. The place is near popular Bicheno's attractions (5-10 mins by car) eg the Gulch and the Blowhole. A great place to stay for a night or two if you intends to visit Freycinet National Park. Deluxe cabin is bigger than we expected, kitchen is well equipped but you'll need to bring basics (oils, salt) by yourself. The only supermarket on the town close at 6pm, park's service center close at 7pm which is inconvenient. All else are good, we also drove to the seaside and saw some small penguins in the night. Nice facilities in the room/kitchen. It is within a residential area in the centre of the town with supermarket and restaurants nearby. The cabins are very close together though and the walls are thin so you can hear all the noises coming from your neighbors. Comfy bed, nice bathroom, we had a pleasant stay. Very friendly reception staffs. 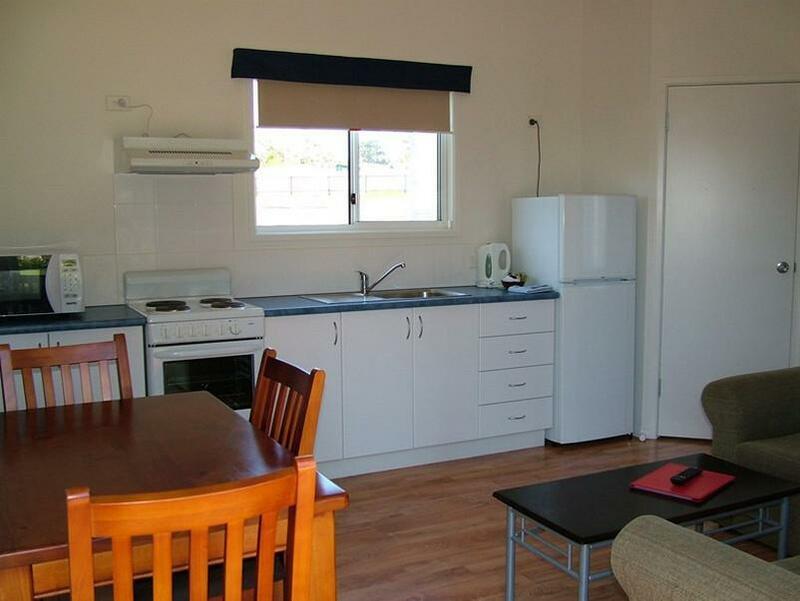 Excellent location - walking distance to penguin tour, restaurants and shops. The cabin house was very comfortable and warm. The only small problem is the heater is mounted low near the floor, so I have to keep my child from going near to it. Excellent in overall. Checkin was easy, the staff request us to pay additional $25 for my 10 year old child, not free. Location is fine and there are full cooking facilities. Wifi is also good. However, the children bunk bed mattress was uneven and not comfortable. In the morning, there are black ants in the kitchen area. No good.